This was a weekend full of inspiration, breakthroughs, and renewed goals for 2018! My heart was so blessed by this group of ladies. Visit our workshop page for testimonials after you are done here! Offering a dine in restaurant as well as catering. They prepared four delicious meals for us this weekend. Give them a call for your next event or stop by their location! Custom engraved notebooks & so much more. The owner of this shop helped carry out my vision for these. Everyone loved having this pretty notebook to take their notes in! Get yours here. The experience of being a 'Mimi's Bride' is something our brides boast about nearly every week. 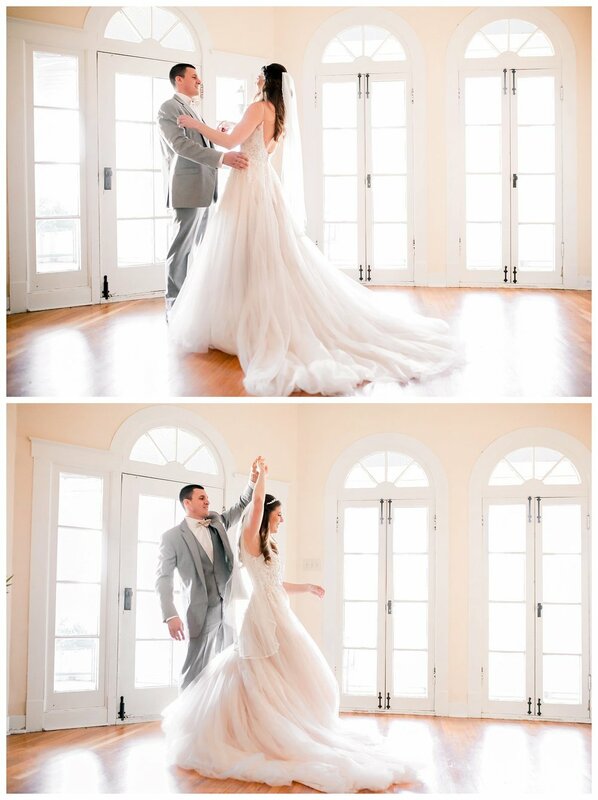 We are so grateful they provided this gorgeous new style of gown and the grooms tux for this shoot. Its worth stopping in to see them before you choose your dress. Amazing selection, amazing prices! Gorgeous mugs for all occasions. These are amazing quality and they shipped so fast! 99.9% of the women this weekend LOVED coffee, needless to say, these mugs were a crowd favorite. Get yours here. Custom bridal party gifts and ALL things wedding! These candles have a special meaning & they were the last gift I gave out. Shine, bright ladies... you know the significance of these candles! Lindsey creates custom, hand stamped jewelry & loves that each piece is different. She finds joy in creating meaningful pieces. Handmade floral crowns. Custom orders for weddings and parties. Check out the amazing soft color palettes they have here. We are in love with the custom checklists they created for us! Talented makeup artist in the mid-missouri region. She loves bridal makeup. Follow her on Instagram!